Here you can find a list of the most common roof covering options available, and their corresponding articles. Asphalt roofing is the most common form of roof covering in the United States. The reason is simple: they are economical, easy to install and easy to maintain. There are many kinds of asphalt shingles on the market, including Energy Star certified products that may be eligible for a tax credit. Clay tile roofing is one of the oldest forms of roofing. Originally brought to America in the 17th century by European settlers, it has remained an architectural and aesthetic staple in many parts of the United States. Today, it is common to see “clay roofing” made of various aggregates. Choosing the best flat roof covering for your home depends on your climate, budget and intended usage. The main forms of flat roof coverings include rubber, PVC, modified bitumen and tar and gravel. The most important thing when choosing a flat roof covering is hiring a qualified installer. Metal roofing has been an architectural staple for thousands of years. Its durability and aesthetic has made it a natural choice for endless varieties of buildings since the 3rd Century BC. Most metal roof covering comes with a 30 to 50 year warranty, with most types lasting far longer. 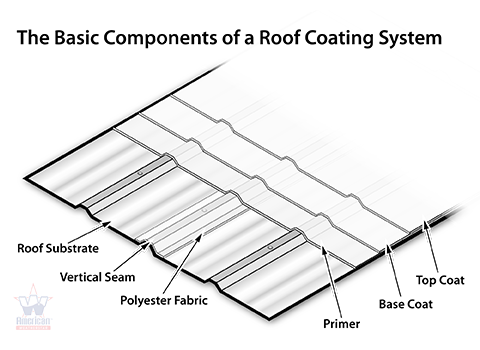 PVC or vinyl flat roofing is one of the most common forms of flat roof coverings. It is a lightweight choice, very long-lasting and very resistant to leaks due to its heat-welded seams. It is also a great choice for cool roofs, as it primarily comes in white. Rubber roofing is an eco and budget friendly choice for your home. It is long lasting roof covering, and is relatively easy to install and maintain. Rubber roofing is available in a number of different color and style options, and can be designed to look like slate, asphalt or cedar. You can also choose a rubber roll, which is virtually leak-proof. Shingle roofing generally refers to asphalt shingles, but encompasses any roof covering system comprised of tiles or shingles that interlock or overlap in a way that channels water off of a pitched roof. Most shingle types are comprised of materials that are locally available. Spray foam roofing, also known as Spray Polyurethane Foam (SPF) roofing is a lightweight flat roofing option. It is essentially a liquid plastic sprayed overtop of the roofing substrate, which foams and expands to cover your flat roof seamlessly. Tar and gravel roofing, also known as built-up roofing, has been the go-to flat roof technology for decades. A tar and gravel roof covering consists of a waterproof base layer, multiple layers of roofing felt laminated together with bitumen, and a surface layer of mineral aggregate. There are a wide variety of materials available for each layer. Wood shingle or shake roofing used to be a common roof covering in the United States. They fell out of favor due to fire concerns, and the advent of asphalt shingles. Modern day wood shingles are treated with fire retardant, and are making a comeback due to their beautiful look, durability and high-wind resistance. Time to Replace your Roof? Your Way to get a New Roof. Finding Roof Contractors with HomeAdvancement. Tips and Guidelines to Easily Repair Your Roof. Still Not Sure about Roofing Installation.